Sheetmetals Ltd are specialists in all types of stainless steel architecture and general sheetmetal work. Established in Auckland in the 1930’s, Sheetmetals Ltd has almost eighty years experience in the industry. 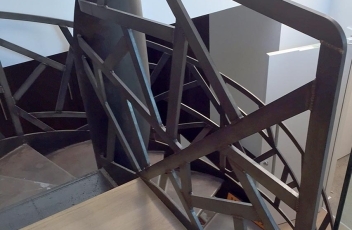 From structural steel work such as house beams and bridges to security doors, stainless steel display frames, handrails, balustrades and more, Sheetmetals Ltd are experts in a wide range of metal work. We use a variety of materials including stainless steel, copper, brass, aluminium, galvanized, mild steel and coloured steel. Our diverse team has a wide range of skills and expertise and we have grown a strong reputation for our workmanship over the years. Visit our showcase to view some of our recent work. Call our Mount Wellington office on 09-573-0672 to speak with one of our professional team. Mild steel is affordable, readily available and is used in a vast range of applications from construction steel to signage to wire. We use mild steel everyday for a wide range of metal work for our customers, including structural steel projects. Sheetmetals Ltd offer a bespoke service using non-ferrous metals including copper, aluminum and precious metals. From copper cladding to aluminum powder coated gates, Sheetmetals Ltd are the specialists in non-ferrous metal work. We provide a variety of businesses and industries throughout New Zealand and abroad with sheetmetal services and general steel work engineering. Our diverse client base includes councils, museums, art galleries, supermarkets, universities and casinos. Our facilities at Sheetmetals Ltd base in Otahuhu use the latest high-tec equipment to offer precise cutting of metals. Our guillotine cutting machinery provides a steel cutting service to meet your specifications be they artistic, structural or practical. Sheetmetals Ltd’s pressing and rolling facility uses the latest up-to-date technology to produce the parts you need to the most precise and accurate design. We have a range of metal presses and rollers to accommodate almost any size and configuration. An iconic heritage building, this stunning property was originally Mt Eden's fire station. 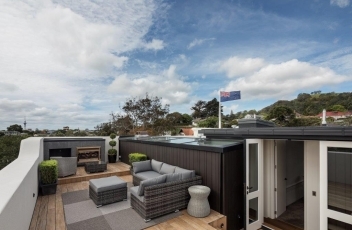 Now converted into one of Auckland's most outstanding contemporary homes, the Mt Eden Fire Brigade Station is truly unique. 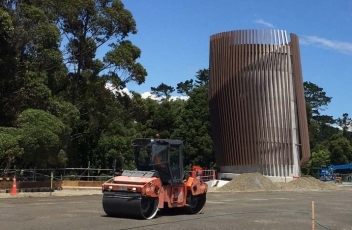 Sheetmetals Ltd has just completed the steel fabrication component for the Waterview tunnel exhaust stack, at the northern end of the tunnel. 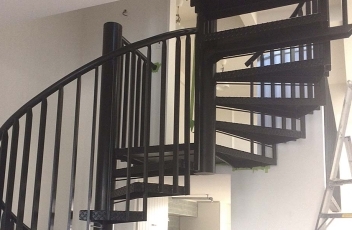 Check out our latest spiral staircase we've fabricated and installed for an Auckland property on Crummer Avenue, Ponsonby. Check out his gallery of custom metalwork we’ve recently completed for an apartment in Auckland’s Ponsonby. All metalwork featured blackened steel which was waxed to give a trendy industrial feel, and perfectly compliment the existing decor in the apartment.